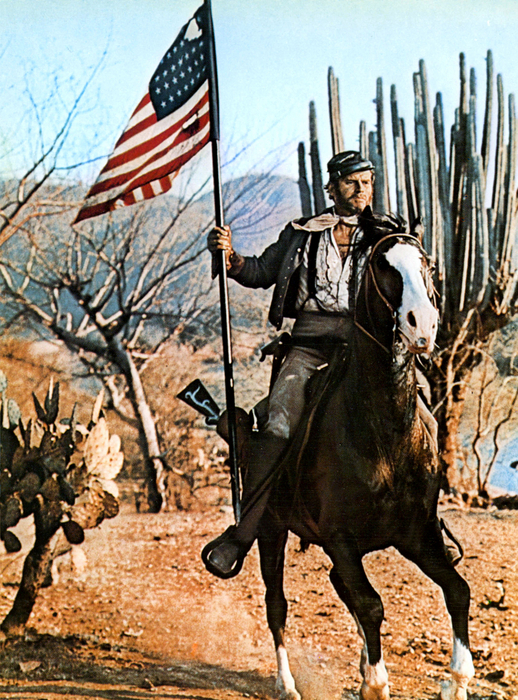 I have just finished Charlton Heston’s The Courage to be Free. In many ways, this work is similar to many other conservative political works on the market. It highlights that America has two main political cultures at a state of war. Each side of the culture war wishes for America to take on a particular image. The liberal or progressive image wishes for more government intervention in people’s lives, the loss of personal initiative, and the loss of personal freedom. On the other hand, the conservative vision embraces a culture of self-reliance, freedom, and the ways Americans have inherited from our ancestors. Heston remarks on how liberals live in a society of fear and isolation (represented by city dwellers), while conservative societies, represented especially by rural communities like the one Heston grew up in, tend to be more neighborly and trusting of one another. Charlton Heston adds his own personal touch to his advice and exhortations to preserve the American way. 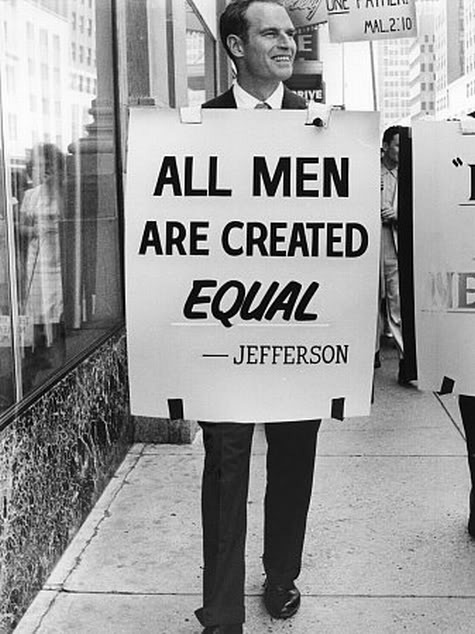 During the Civil Rights movement, he marched with Martin Luther King in Washington. Ever since, he has not been afraid to risk his Hollywood career for the sake of defending American values. One of my favorite parts of the work covered how corrupt and immoral rap lyrics are. (Heston does not shy away from quoting rap lyrics in full–profanity and all.) As a shareholder at Time Warner, he took a stand against that company marketing Ice-T’s songs, which advocated violence against women, police, and others. This led to certain of Ice-T’s songs being removed from an upcoming album. Heston also remarks on how political correctness attempts to squash public debate. People are afraid to stand for the truth because they might get ostracized for it. All in all, The Courage to be Free stands as an excellent primer on political activism. Heston gives a thorough outline of all the problems facing our nation and what steps may be taken to solve them. The way Heston weaves in his life and personal experiences into the material gives further force to the message he wished to convey. The most important message to my mind is that cowardice is not the true opposite of courage: indifference is the true opposite of courage. 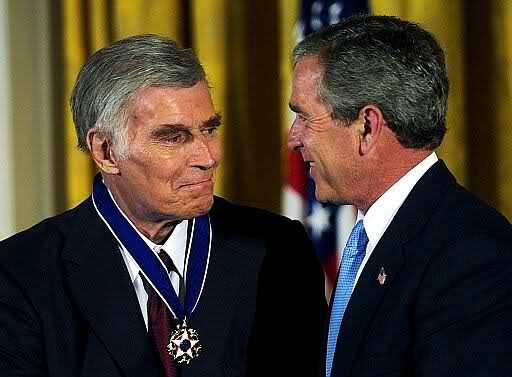 Charlton Heston received the Medal of Freedom from George W. Bush in 2003. Find ways to influence the government in all its forms. Be willing to disobey [unjust government actions or the mandates of political correctness]. Take resolute and absolute pride in your own values. Defend America as the peerless ideal–period. Fiercely preserve all the rights outlined in the Bill of Rights. Find the way to your loudest possible voice and speak. Find myriad avenues to pass on your convictions. Accept that sacrifice is just part of the deal. Commit to the daily process of private prayer. Thanks! I’ll be sure to read Hanson’s article.